I wish you would use all means at your disposal – films! expeditions! the web! more! – to ignite the public support for a global network of marine protected areas, hope spots large enough to save and restore the ocean, the blue heart of the planet. 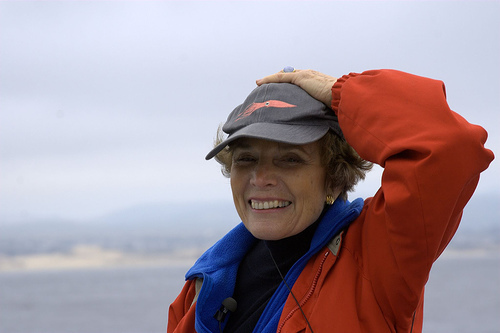 This is an amazing lady, one who has led aquanauts and been on the forefront of oceanography. She has designed and built systems to access the deep seas. A couple years ago she met with the John Hanke, head of Google Earth, and asked them to do something about mapping the ocean. As of this week, Google Earth is now whole, they have mapped the oceans.